The European Union has issued a general directive aimed at protecting human health and the environment by restricting the use of certain hazardous substances in new equipment. The Restriction of the Use of Certain Hazardous Substances (RoHS) Directive, 2002/95/EC of February 13, 2003, was enacted by the European Community to minimize the environmental impact of hazardous substances used in electronic equipment. The Directive bans the use of lead, mercury, cadmium, hexavalent chromium, polybrominated biphenyls (PBB), and polybrominated diphenyl ethers (PBDE) in electrical and electronic products sold in the European Union beginning July 1, 2006. Additionally, the European Commission will review the terms of the Directive to take into account any new scientific evidence on or before 13 February 2005. To address the Directive, ETS is actively working to ensure compliance with the Directive and reduce the presence of these RoHS hazardous substances in its products. The RoHS compliance initiative is part of an overall strategy to integrate a process management approach into all phases of the product life cycle. To address these concerns ETS has implemented a cross-company functional team incorporating all disciplines including Manufacturing, Purchasing, Engineering, Marketing, Support, and Executive management. 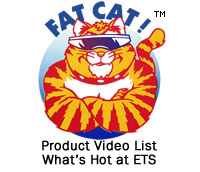 ETS is now specifying, at the new product design level, components which are free of the RoHS substances and are process compatible to meet RoHS directives. We are working with suppliers of components, assemblies, and devices to actively progress towards RoHS compliance and to make compliant parts available as needed to support our RoHS initiative. ETS is actively using Lead-Free components and processes and migrating non-compliant parts to Lead-Free in support of RoHS. Suppliers will be requested to certify the RoHS compliance status of their parts and provide information as needed to confirm process compatibility and traceability. Energy Transformation Systems, Inc. is committed to doing business with environmentally responsible suppliers and is requiring suppliers to comply with all applicable laws, regulations, orders, and policies in providing materials and services. Energy Transformation Systems, Inc.